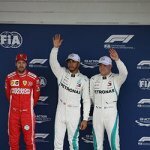 Formula 1 may have blasted into the new year with guns a’ blazing what with all sorts of revelations and proposed changes, the replacement of the grid girls with grid kids being but one example of many other ructions and rocking of the racing boat, but not all is negative in vroom-vroom land, thanks to Ferrari. The manufacturer recently revealed the newest addition to its brand: the SF71H model, fitted with every conceivable bell and whistle in especially the aerodynamics department, in an attempt to keep up with the leaps and bounds that top rival Mercedes has been making of late. Ferrari technical director Mattia Binotto said that the main differences between the new model and last year’s car were a slightly longer wheel-base, more aggressive-looking side ducts and a much narrower main body. 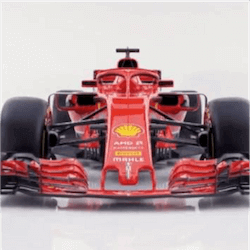 Ferrari driver Kimi Raikkonen made no secret of his high expectations of the SF71H, saying that it looked nice and that if it looked nice, in the true spirit of the Ferrari brand, it would be very fast also. The true test will be how it measures up to the newest model from Mercedes and the manufacturer as well as the fans won’t have to wait too long before all is revealed, what with next week’s pre-season testing in Montmelo in Spain. Sebastian Vettel shares Raikkonen’s excitement, saying that the team could not wait to get onto the track and see how the new car performs, which is, according to Vettel, a huge step up from last year’s car. Despite the numerous victories that were to be had during last year, most notably those by Sebastian Vettel, Ferrari really struggled on high-speed circuits with long straightaways. It’s not all flash and dash either; the new car also features the added safety feature of a protective halo device around the cockpit, a concept that has been made mandatory for all Formula 1 cars competing this season. Raikkonen said that the halo had not been a terrible bother when it was tried out last year, but that in the model it was even less visible, what with the car having been developed around it right from the drawing board. Ferrari hasn’t won any major F1 titles since 2008, with Raikkonen having claimed the team’s last driver’s title back in 2007. The new Formula 1 season opens on 25 March at the Australian Grand Prix in Melbourne. May the best car win. 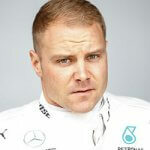 Mercedes driver Valtteri Bottas beat Ferrari’s Sebastian Vettel by 0.027 seconds during their second practice at the Chinese Grand Prix. Max Verstappen of Red Bull came in third fastest, with 0.221 seconds off of the lead despite running wide on the last corner. Lewis Hamilton of Mercedes took fourth place, …. 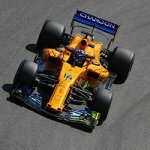 McLaren have recently unveiled their latest car, the MCL34, which is set to debut for the upcoming 2019 season. The team had the second slowest car for most of the 2018 season, but still managed to finish in sixth place for the championships thanks to the driving of Fernando Alonso. …. 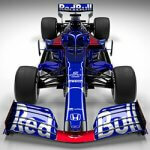 Red Bull’s junior team have been hard at working creating a new car for the upcoming 2019 season, and have taken full advantage of the F1’s new rules on car specifications, along with the newly appointed rule to allow teams to purchase parts from each other. United States-based Haas was …. 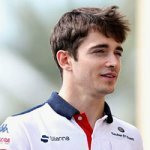 Charles Leclerc has kick-started his Formula 1 driving career by beating Sebastian Vettel during the benchmark before topping the leaderboard times in the second day of testing at Abu Dhabi. The driver is currently preparing for his graduation to Ferrari for the 2019 season after he ended his rookie season …. Five-time world champion Lewis Hamilton has won the Brazilian Grand Prix, a victory that also earned him the constructors championship title for the fifth consecutive year for the Mercedes team. The British 33-year-old took advantage of a crash that saw Max Verstappen lose his lead in the last stages of ….